NEW DELHI: The benefits of goods and services tax (GST) can be seen within a month of its implementation as it has produced a “big positive effect” on the economy, and has bolstered the economic progress, Prime Minister Narendra Modi said in his ‘Mann ki Baat’ address on Sunday. “I feel very happy and satisfied when a poor person writes to say how because of GST prices of various items essential for him have come down, and commodities have become cheaper. I have been observing how GST has impacted the transport and logistics sector; how the movement of trucks has increased,” the PM has said. He also pointed out that the time taken to cover distances has come down drastically and highways have become clutter-free. “Pollution levels have come down with the increased speeds of trucks. Goods are also being transported much faster. 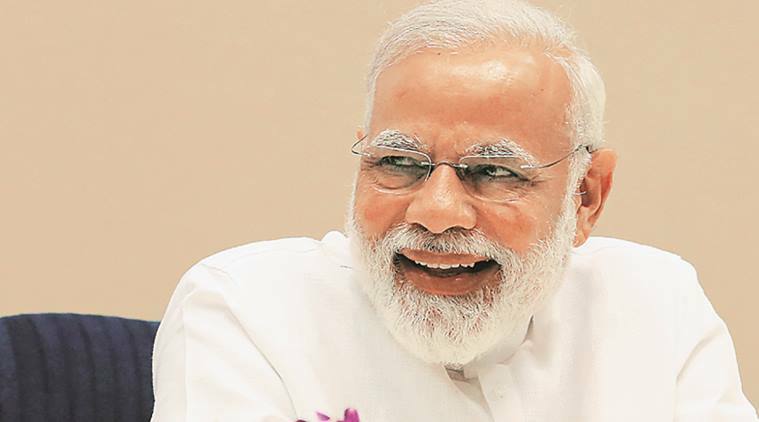 Earlier, because of the multiple tax structures, maximum resources of the transport and logistics sector were expended in maintaining paperwork and that also led to a need for construction of new warehouses in each state,” the PM said, adding that he hoped that experts in economics, management and technology would write about India’s GST experiment as a model for the world. 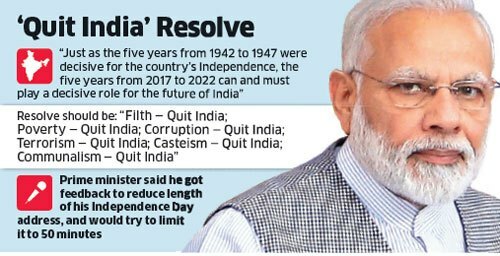 The PM compared the period between 1942 and 1947 — from the launch of Quit India movement to India’s Independence — and said the same resolve should be shown by Indians between 2017 and 2022 for taking the country to new heights. “Just as the five years from 1942 to 1947 were decisive for the country’s Independence, these five years from 2017 to 2022 can and must play a decisive role for the future of India. Five years from now, we will celebrate 75 years of India’s Independence. Therefore, we must make a firm resolve today. We should celebrate August 15, 2017, as the Sankalp Parva or the Day of Resolve, and in 2022 — marking 75 years of freedom — we will certainly transform that resolve into ‘Siddhi’ or attainment,” Modi said.